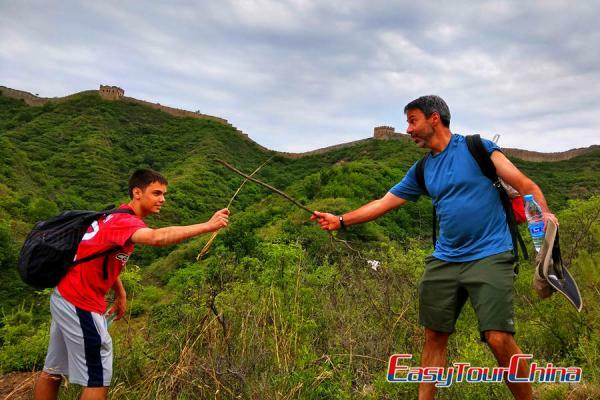 This 13-day family friendly tour package of China is a delight experience to create real-life shared memory for the whole families, on which parents, children & grandparents can enjoy the every moment, from the comfortable hotels, enriching activities to the tasty meals, including trying to make Chinese dumplings and biking along rice paddy fields in Yangshuo countryside. 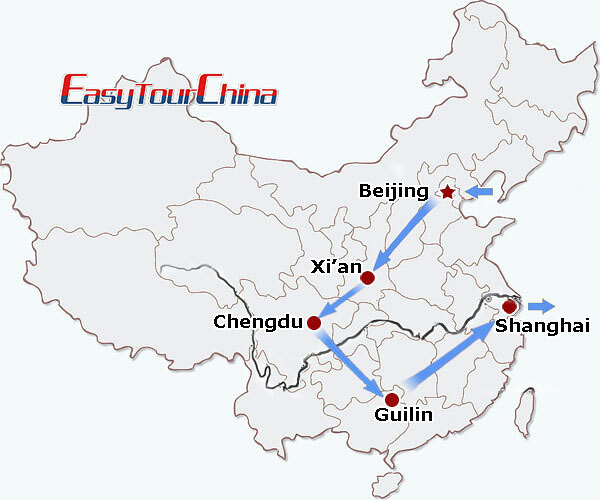 Upon arrival in Beijing, your local tour guide will meet and greet you at the airport and transfer to your hotel at downtown. 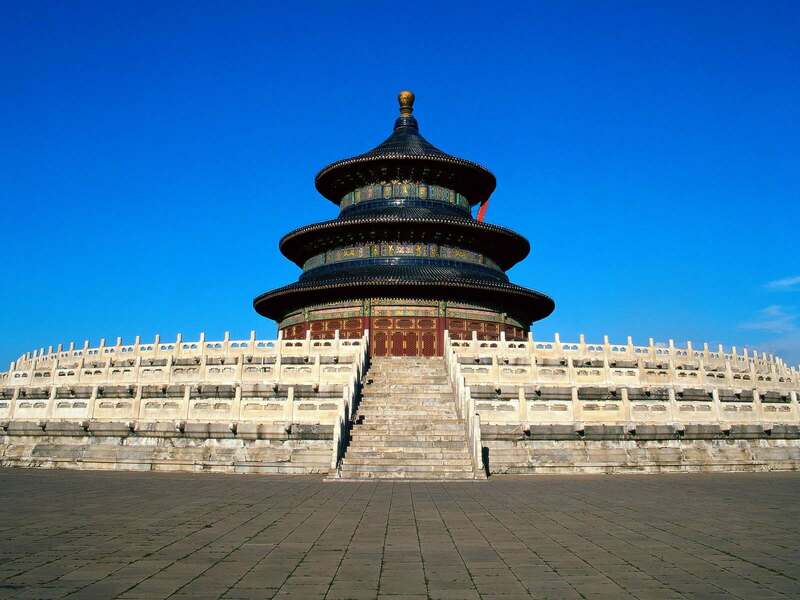 Private escorted tour to Temple of Heaven where you can pray in faith as it worked as sacrificial compound building for the Ming and Qing emperors and it boasts of the largest sacrificial place in Beijing among a few imperial altars to Heaven, Earth, the Sun, the Moon super natures. Tiananmen Square is arguably claimed as the largest public square in the world. 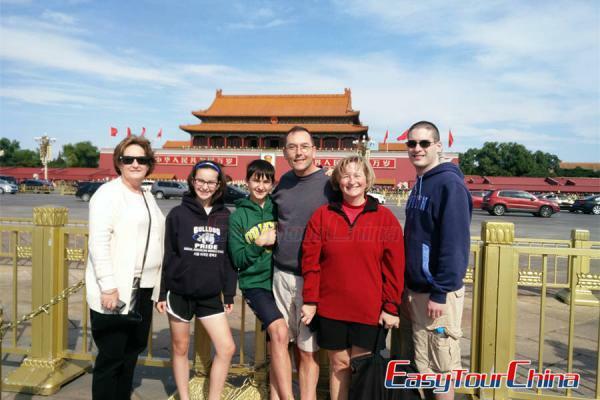 Then we go to the Forbidden City--with over 9,000 rooms and over 250 acres. This large palace building was built between 1406 and 1420, and it served as the home of emperors and their households, as well as the ceremonial and political center of Chinese government. As it is known to all, Peking duck dinner is famous for its crispy lean duck without the usual high fat content, plus plum (or garlic) sauce, scallions and pancakes. The Peking duck dinner at night will make your mouth water. 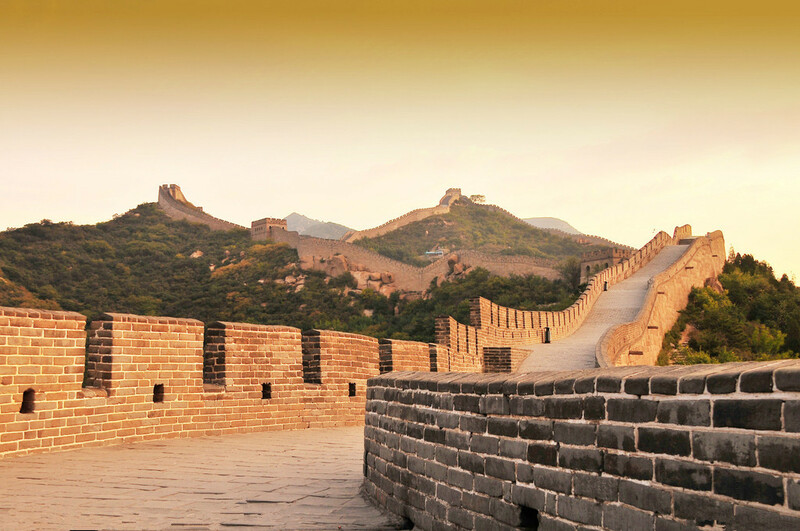 Climbing the Great Wall is a must during your Beijing tour as we plan a private escorted tour to Mutianyu Great Wall (round-way cable car) for you today. The grand Great Wall is really amazing and good place to challenge. In the old days, Beijing City is like a boxy bean curd or a chess board with each Hutong lying due north to due south or due east to due west. This square layout not only influences Beijinger's way of living, but also affects their thoughts and actions. A pedicab Hutong tour is prepared for you to have a closer experience. Today, the Summer Palace comes first on the plan. 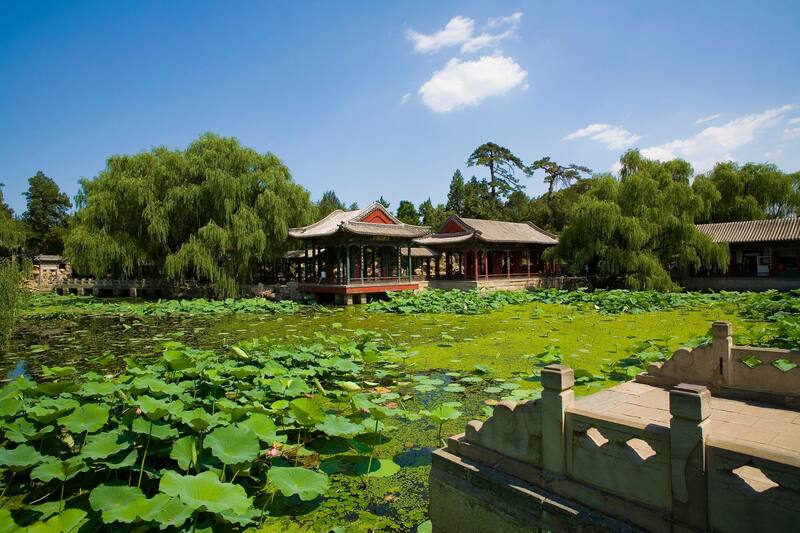 Its 70,000 square meters of building space features a variety of palaces, gardens and other ancient-style architectural structures--an outstanding expression of the creative art of Chinese landscape garden design. And the Kunming Lake is the main spot in the garden. After the Summer Palace visit, transfer to take a high-speed train to Xian, to appreciate ancient Chinese civilization. Transfer to visit the famous Terra Cotta Warriors and Horses Museum which is one of the top attractions in China as for its historical significance and uniqueness. 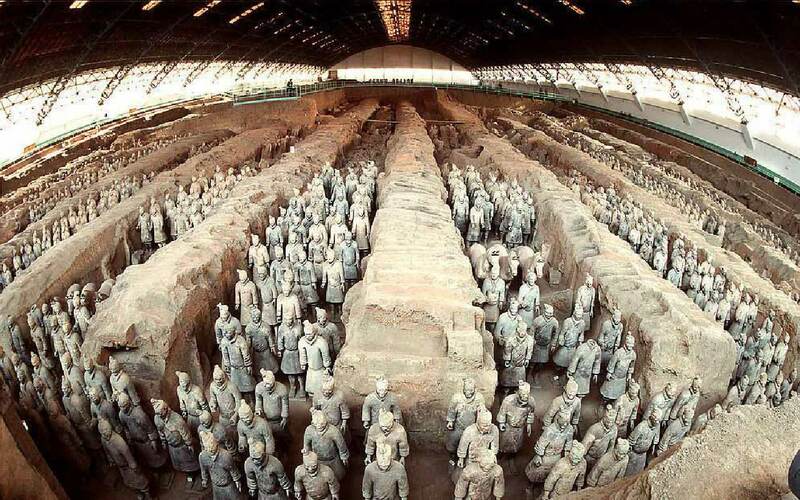 It is significant because the hundreds of detailed life-sized models represent the army that triumphed over all other Chinese armies and who were the decisive factor in forming a united China. Then go to learn how to prepare Chinese noodles or dumplings at the local restaurants where you can really have a snack feast and DIY your own noodles or dumplings with great fun. 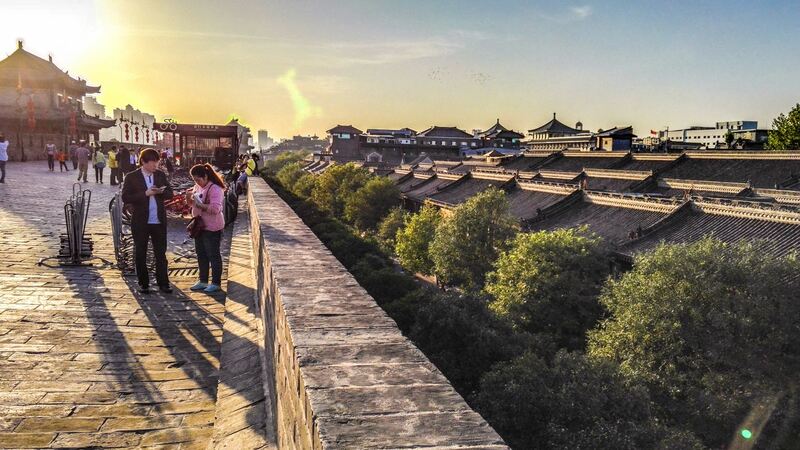 In the morning, visit the Old City Wall – 13,912 meters in circumference, 12 meters in height, the foundation is 18 meters in width and the top of the wall is 15 meters wide. There are four city gates in the four cardinal directions. And an ideal way to appreciate it is by riding bike around. If weather permits, a bike ride is available. In the afternoon, transfer to the airport and fly to the capital of Sichuan Province Chengdu which is a famous historical and cultural city with a history over 3,000 years. After airport pickup, be transferred to your hotel. Note: Biking on Xian Old City Wall is only allowed for children above 10 years old or taller than 1.4 meters (4.6 feet). If your child is too young to ride a bike, you can have a relaxing walk instead or take a golf cart. Transfer to the China Panda Conservation and Research Center – Dujiangyan Base, located approximately 55kilometers (34miles) away from Chengdu. We arrange you a full day panda volunteer program to learn more about giant pandas. Later, transfer back to Chengdu. Dujiangyan Panda Base – the world’s only giant panda disease control center, focusing on the panda pension, the rescue of the wild giant pandas and the research of disease control. Visit Wenshu Temple, Chengdu Renmin Park, and Jinli Old Street. Later, transfer to the airport and fly to the picturesque city Guilin. Take a leisurely Li River cruise, disembark at the beautiful small town famous for its Karst landscape--Yangshuo. At Yangshuo, you can have a free afternoon for your own exploration. The ideal way is wander around and go to tourist spots like Moon Hill, Big Banyan and so on. At night, the West Street is a must-go where shows lively nightlife with both Chinese and western style. Besides, you can also go to watch the optional evening show 'Impression Sanjie Liu' on the natural stage along Li River. In the morning, the happy day begins by biking (or walking) to the countryside to see the stunning scenery, rice paddies, water buffalo and local farmer's life. And then it's your option to take a 1-hour bamboo rafting down Yulong River. Lunch at a local restaurant. 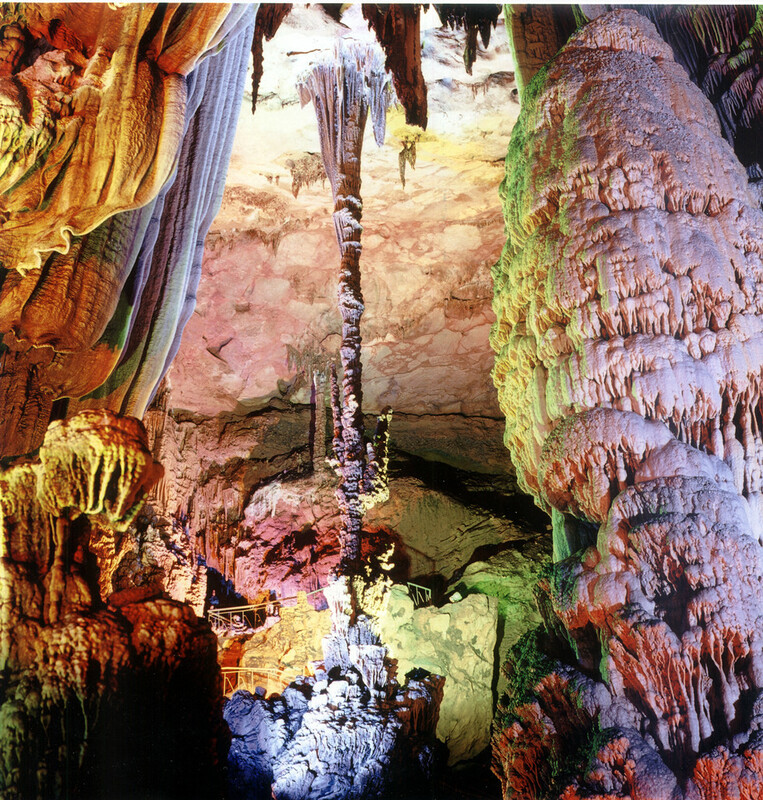 After it, drive back to Guilin and visit Reed Flute Cave nearby Guilin downtown--inside this water-eroded cave is a spectacular world of various stalactites, stone pillars and rock formations created by carbonate deposition. Later in the afternoon, proceed to the airport to fly to modern Shanghai. Zhujiajiao is a water town on the outskirts of Shanghai, and was established about 1,700 years ago. Today, we drive to it to witness the traditional life at Yangtze Delta there. Then visit the must-see spot Yu Garden in Shanghai's busiest downtown to appreciate its brilliant historical garden art and have a leisure stroll in it. After that, time for shopping and take a glimpse of the prosperous sights of Shanghai. At night, you can choose to see the amazing traditional Chinese performing art--acrobatic show (optional). for you which is really worthy of watching. Free day for your own exploration. Explore great Shanghai in your own way to get unique experience today! 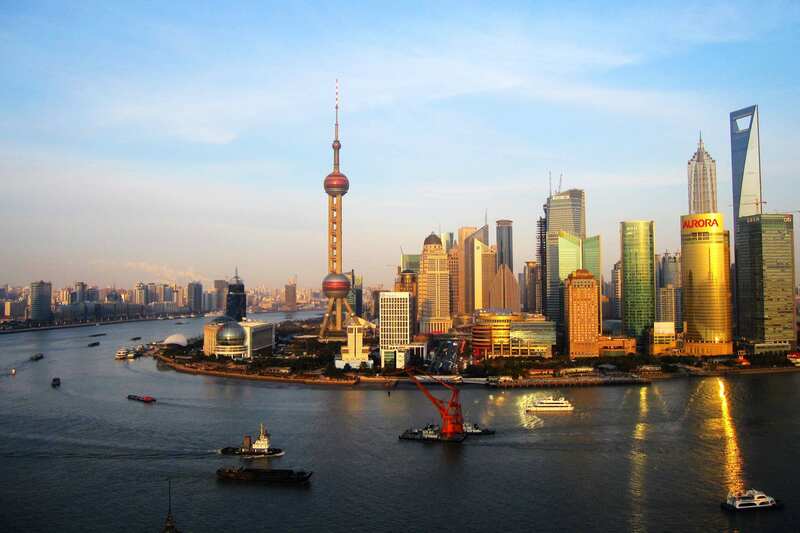 Oriental Pearl TV Tower: has become a symbol of excellence in architecture and is a favorite sight for tourists in Shanghai. Xintiandi: a car-free shopping, eating and entertainment area where composed of restored traditional shikumen (stone gate) houses on narrow alleys, a modern shopping mall with a cinema complex, and some adjoining houses which now serve as book stores, cafes and restaurants. Shanghai French Concession: a famous place for its historical factors and a fantastic place for spending leisure time.